Labour MP Kate Hoey has said that the Prime Minister should not “expect loyalty” from the DUP after “backstabbing” them over the backstop. Theresa May’s EU Withdrawal Agreement currently has a “backstop” being implemented, which comes into play if there was no long-term trade agreement, and no extension of the transition period. If the backstop is needed, it will be in the form of a UK-wide customs union on a temporary basis. Ms Hoey, the Labour MP for Vauxhall, told talkRADIO’s Mike Graham: “What I just can’t understand about the Prime Minister, and why I have lost all confidence in her, is that she should have seen this coming. The politician added: “No one has really got close to her. She does not have a wide group of people. “She does not come into the tearoom and chat. She does not have that feel of if you meet her in the corridor she will have a full-on conversation with you. “Prime Ministers who are leaders of parties need to have that. Jeremy has got that. 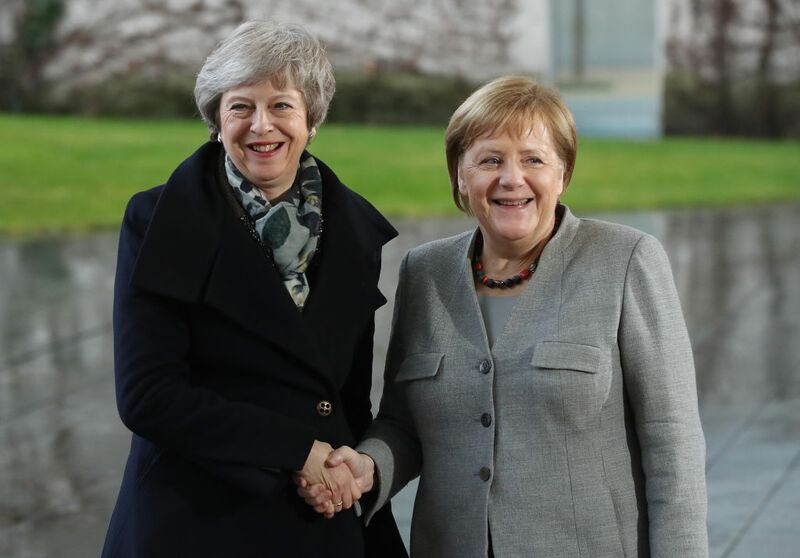 The Prime Minister is expected to meet with a series of European leaders on Tuesday, including Chancellor Angela Merkel in Berlin and the President of the European Council Donald Tusk. Hoey added that some Conservative MPs were “waiting to see if she brought anything back” before submitting letters of no confidence. “I’d be very surprised if we don’t see something happening to do with her leadership in the next few days,” she said. “It was very clear that there was nearly the number of letters there a few weeks ago. “I think there were a lot of people waiting to see what would happen with the deal and have been very clear that they would put their letters in if the deal went down.